WHAT SCIENTIST JUST FOUND DEEP IN THE OCEAN IS SERIOUSLY UNBELIEVABLE. I’M STILL IN SHOCK! It was just an fiction imagination without any evidence of its existence. 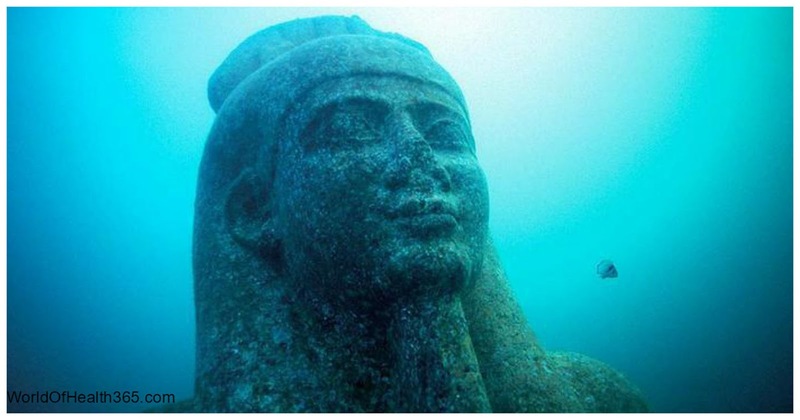 Thonis-Heracleion (the Egyptian and Greek names of the city) is a city lost between legend and reality. Before the foundation of Alexandria in 331 BC, the city knew glorious times as the obligatory port of entry to Egypt for all ships coming from the Greek world. It had also a religious importance because of the temple of Amun, which played an important role in rites associated with dynasty continuity. The city was founded probably around the 8th century BC, underwent diverse natural catastrophes, and finally sunk entirely into the depths of the Mediterranean in the 8th century AD. They searched for it for centuries but it was never found. I am talking about the ancient city of Heracleion that existed in the 6th century B.C. and is popular by the incredible artifacts that you can’t imagine. It was believed that this old city’s location is under the sea, and 1200 later this city was finally discovered. Its artifacts now can be found around the world in historical museums. The biggest statue that was noticed was the enormous hand carved statue of a pharaoh and is 16 feet tall. It represents the god Hapi, that is the god of the flooding of the Nile. Hapi was greatly celebrated among the Egyptians. Some of the titles of Hapi were, Lord of the Fish and Birds of the Marshes and Lord of the River Bringing Vegetation. Hapi was a water and fertility god. There was also a statue that it’s assumed to be Cleopatra II or Cleopatra III dressed as the goddess Isis.